Could this be a Nashville Warbler? 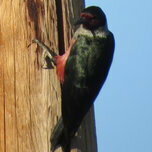 it was seen in my backyard in Altadena California. I think it would be unusual if it is? Sorry for the bad picture. it was a very fast bird. Looks like Viriginia's Warbler to me, with a gray instead of green back. I like Nashville here. That’s a lot of yellow for Virginia’s. I see your point, but isn't it a lot of gray for a Nashville? There does seem to be a little green on the wing, though. 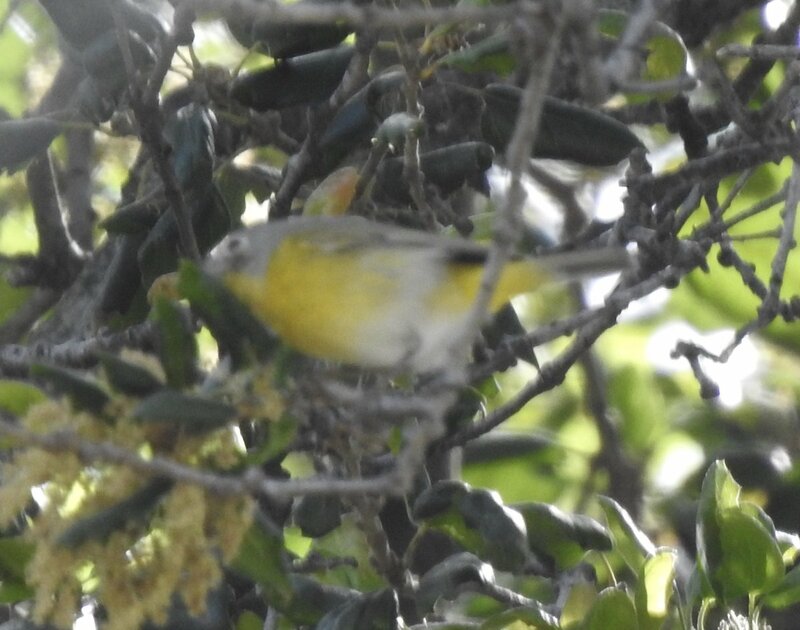 I must also agree that Nashville warblers aren't all that unusual in California in April (ebird link). I think that’s a pretty standard amount of gray for Nashville. I like the back and forth on this and can see where it comes from. This is a poor angle of this bird and I'm looking, comparing this to the field guide and can see a person leaning either way. You can't see much of the wing here but it looks like the wing is gray but the nashville in Sibley's has yellowish wings. Doesn't quite match. Can't see the back of this bird at all to really get an idea. That said, I'd still lean nashville after looking at the book. The virginia's doesn't show yellow that far up the throat and it LOOKS like the end of the wing is VERY dark here which, comparing to Sibley's, would point to nashville.